This Website uses first-party and third-party cookies in order to improve the services provided thereby in analysing browsing habits on this Website. If you continue browsing, it shall be deems that you accept the use thereof. 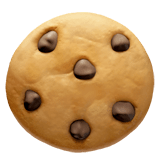 User Identification Cookies: User identification cookies are used to identify and ensure that users only see their own data, allowing access to secure areas. Blocking the installation of analytical cookies described in this policy can not impinge on the effective use of the Website by the User.